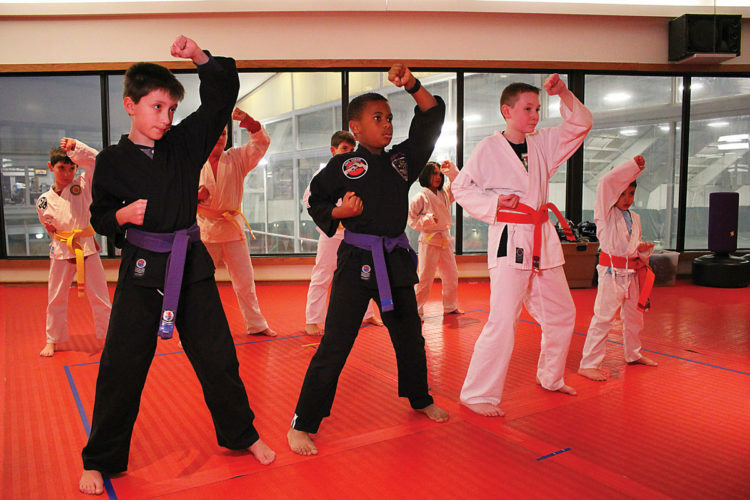 Kenpo helps me focus on school and sports. Brandon is eight years old and currently a purple belt. 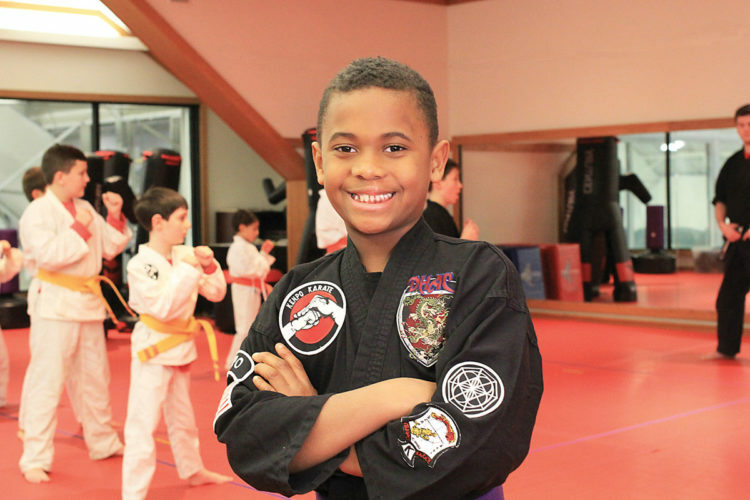 He has been an American Kenpo Karate student at Dedham Health & Athletic Complex for the past four years. Through the guidance and instruction of Guy and Cynthia, Kenpo has had an exceedingly positive influence on Brandon. It has increased his strength and discipline, sharpened his focus, and bolstered his confidence. Best of all, it extends far beyond the Kenpo studio. It is reflected both in school and at home, as well as in his other sports including gymnastics, basketball, and football. Brandon was incredibly proud of himself when he entered his first DHAC Kenpo Tournament. He placed first in Grappling and Point Sparring, and third in Forms. After that tournament, Brandon became extremely focused on achieving his black belt. The drive to achieve his black belt has made him even more focused in school. 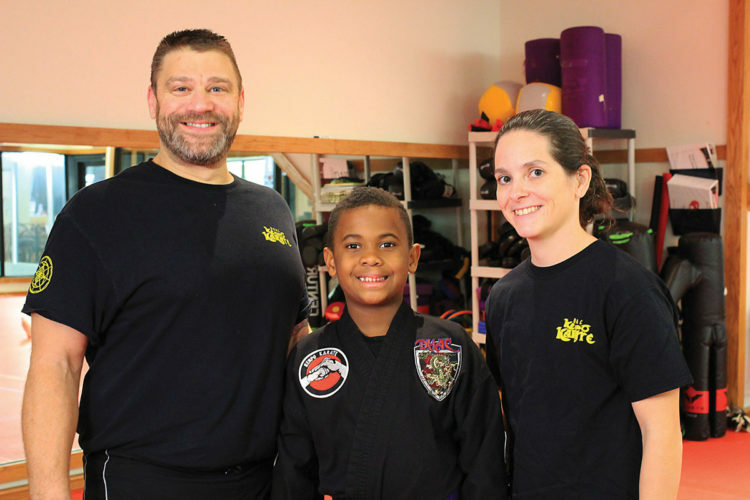 Kenpo has helped Brandon in all aspects of what he does. 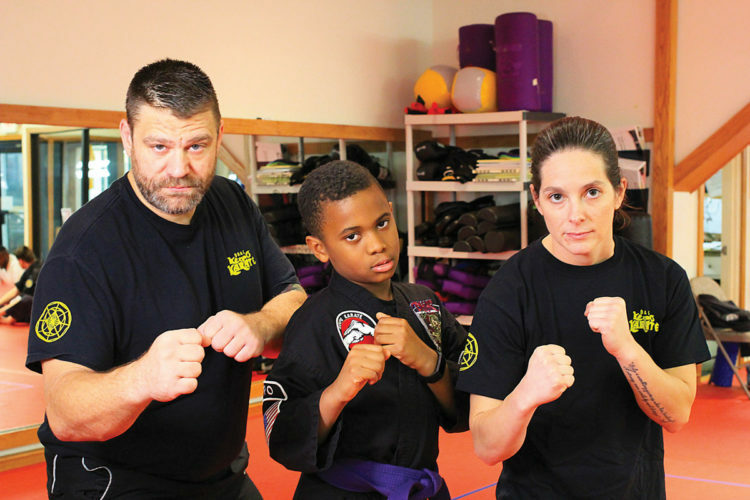 Conflict resolution is one of the most valuable skills Brandon has gained as a Kenpo student. He understands that fighting is not the answer, but being able to defend himself affords him the confidence to stand his ground when he is unable to walk away. As Brandon continues his Kenpo practice, it will continue to help him both mentally and physically as he focuses on pursuing his black belt.